Most people take Excel to be a number crunching tool… boring and unattractive. 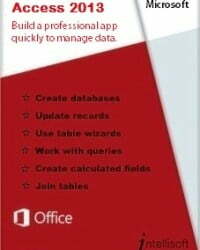 Actually, Microsoft Excel has been slowly transforming… adding more and more features that make presentation of number much better with every new edition of Excel. 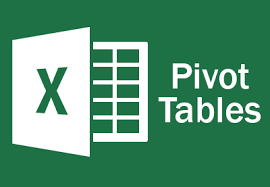 The Excel 2010 version is itself extremely powerful and you can create dynamic dashboards with buttons, check boxes, drop downs, scroll bars, conditional formatting, pivot charts, slicers, and a host of other features. A dashboard is a simple tool for the management, allowing them to get a glance at the business in just a single screen – without complicated numbers. See the dashboard created above in the picture. You may not even realize that it was created in Microsoft Excel. Plus, it is not just a pretty picture. There are things that can change – with the click of a button, you can change the division, product, year, and the entire set of graphs, numbers, charts will change dynamically. Try that in PowerPoint…. If you would like to learn about these advanced featured of Excel, and how to create such dynamic dashboards using Excel, you can attend our 1 day Excel Dashboards Workshop – it starts at the basics, and covers step by step features required to create such dashboards, on your own. Plus we provide you with lunch, snacks, tea/coffee breaks, so everything required is available… and you can focus on learning and building the dashboards quickly, and easily. Intellisoft runs Dashboard MasterClass in Singapore, Malaysia, Indonesia, Hong Kong, Dubai, Qatar, India, and many other countries. If you would like to join, simply contact us, and we will advice you of the dates, training schedule in the city of your choice. Contact us to enroll for this practical, hands on training. We will email you the Course Brochure too, so you can see the topics covered in detail. Customized Corporate Training is available for this Dashboard MasterClass. So far we have conducted a number of such classes for the staff of large MNC companies, teaching them how to create such reports and dashboards with ease, and they have been highly popular and successful… requiring us to do multiple repeat sessions for other divisions, countries also. Do learn these simple techniques to create useful, and interactive Dashboards using Excel and beyond.